If you’re looking to invest in the value of your home, there are numerous options you can pursue. But, there are certainly more valuable options when it comes to renovation. 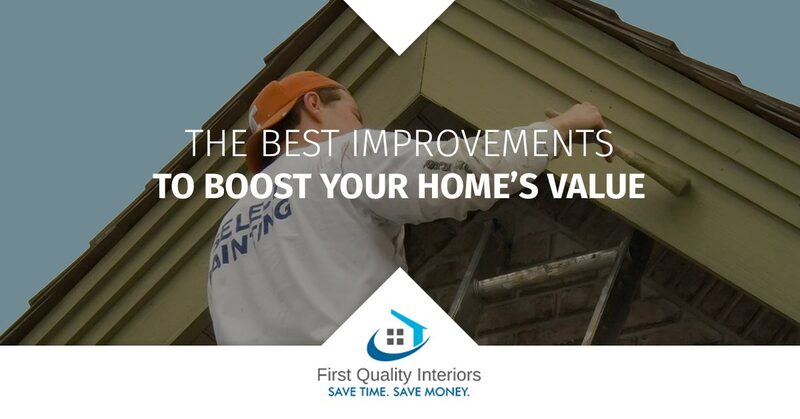 Below, we’ve outlined some of the best home improvements you can make to boost your home’s value. 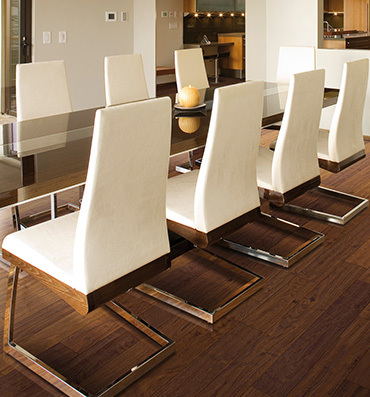 Modernizing your flooring can work wonders to improve the warmth of your home. Guests will be impressed at those high-character hardwood floors in your dining room, and they’ll love the feel of carpet underfoot in the living room. If you have outdated flooring throughout the rooms of your home, then you have an easy opportunity for improvement, and an excellent method to increase the overall value of your home. Now, it’s important to be sure to opt for flooring that is high-quality, like the flooring options that we offer here at First Quality Interiors. Consider replacing the flooring in your kitchen and bathrooms first, since these areas can often make or break a deal if you’re looking to put your home on the market. If, for instance, you have linoleum in the master bathroom, it’s high time that you upgrade — possibly to laminate wood flooring, or luxury vinyl tile. Or, let’s say that you have a carpeted dining room whose carpet has endured one too many spilled dishes — you can pull up that old carpet and lay down a beautiful swath of high-quality hardwood that won’t bat an eye at a dropped casserole dish or the occasional spilled glass of wine. If you’re starting your renovation from the ground up (or from the floor up), then take a look at some of the luxurious flooring solutions that we offer. As we just mentioned, your kitchen and bathrooms will gain the most attention should you ever decide to sell your home. If you have a kitchen that hasn’t seen a change since the 60s, then it’s well past time to give it an update. Take a keen look around you. Are you surrounded by old, outdated appliances? Is your fridge yellow? What about those countertops, are they some laminate or composite? Maybe granite would look better. And what about those cabinets? If the doors are falling off their hinges, then it’s time to swap them out (or at least fix those hinges). Investing in your kitchen is one of the best changes that you’ll enjoy while you reside in your abode, and you’re sure to earn much of that investment back when you choose to sell your home. Old bathrooms are outright off-putting. If you have a bathroom with a pink bathtub or an avocado green sink, then it’s time to give it a facelift. Make sure that you have modern flooring — again, we suggest vinyl tile or laminate wood. Update your bathtub if it’s old, discolored, and worn. Swap out old cabinets and the vanity if they no longer fit the styles of the time. Replace fixtures that no longer make sense in your home. And if you have peeling, bubbled wallpaper, it’s time to tear it down. In addition, you should consider upgrades, ranging from a steam shower (if you have the room and the right bathroom configuration) to water-efficient toilets. If you have an unfinished basement, you have an opportunity to boost the value of your home. While you may be tempted to put in a wet bar, a pool table, and a poker room, remember that you should stick to the essentials if you’re planning on selling your home anytime soon. While you can certainly install some space for entertainment, it’s best to add at least a bathroom and bedroom to your basement to get the most value out of your investment. If you have a large basement, you could even opt to transform the lowest floor in your home into a seperate apartment, so that you can earn extra dollars while you’re residing in the house, and your home’s value will rise, should you choose to sell it. If you have room on your property to expand the bounds of your home, then an addition may be the best way to go. You can add square footage to your home by tacking on an extra bedroom, or perhaps a bathroom if everybody in the house is sharing only a bathroom or two. Again, it’s wisest not to renovate your home with added spaces that may not be appetizing to homeowners — for instance, a greenhouse on the side of your home may be an excellent addition if you’re a green thumb, but it may not help you to sell your home in the future. Most homebuyers want a home that is just that — a house that they can make their own. Adding rooms with less than traditional utility may actually be a detriment to the appeal of your home when it is on the market. If you’re eager to make the most of your home, we can help. We offer numerous flooring solutions, and we’ve partnered with the best manufacturers in the business to provide premier flooring solutions that are sure to improve the value of your home. Reach out to us to learn more, or feel free to schedule a free floor measure to upgrade your home!